Say “Hi!” to Talking Tibbs the Cat, he’s your new best friend! He’ll talk to you, repeat back in his own voice, and react to your touches! Tap him on his arms, legs, body, or head to make him do things! You can also tickle him and make him giggle out loud! 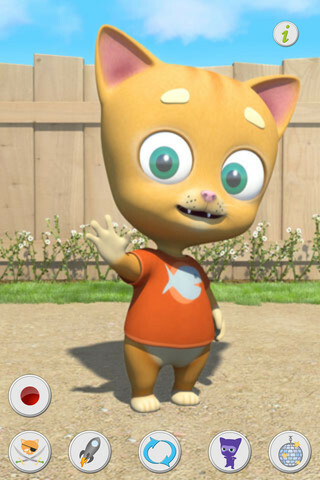 Upgrade to join Tibbs as he lets his imagination soar with 4 special “dress-up” animations! He’s such a cute little guy, Tibbs is sure to please people of all ages! ✔ Tap his various body parts or tickle his tummy to interact with him! ✔ Talk to him, he’ll listen and repeat what you say in his own kitty voice! ✔ If Tibbs gets bored he’ll let you know by yawning and eventually falling completely asleep! 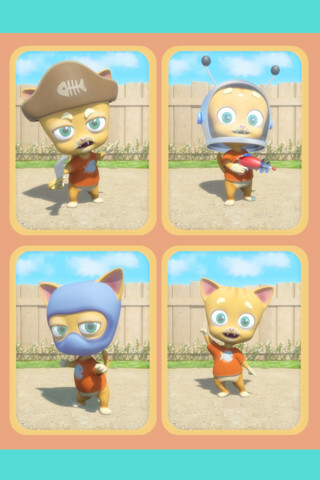 ✔ Upgrade in-app for four special animations, including Tibbs playing dress-up in amazing costumes and doing a secret dance! We hope you enjoy Talking Tibbs the Cat!